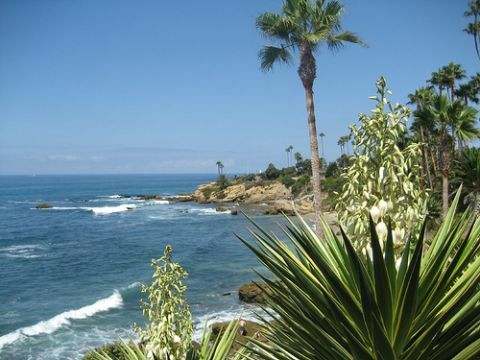 Welcome to Laguna Beach Cub Scout Pack 35! Register: If your son is brand new to Scouting, you'll need to fill out a Youth Application (click this link to download one). Your son will join one of our age and grade-based groups: Boys can join Cub Scouting at age 6 or in the beginning of their 1st grade year. They continue in Scouting up until age 18, when they become adults. If your boy is older than 11, ask us about which "patrol" he should join in Boy Scouts. If you'll be serving as a volunteer, you'll need to fill out an Adult Application also (no added fees). 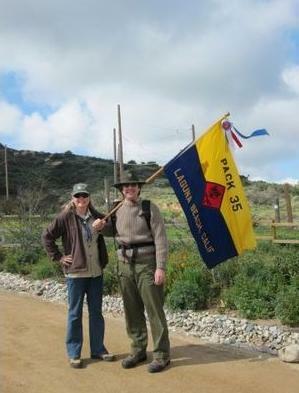 Cub Scout Pack 35 is chartered by the Laguna Presbyterian Church in scenic Laguna Beach, California and part of the Orange County Council, Boy Scouts of America. A highly active and progressive group, Pack 35 draws members from both Laguna Beach and surrounding cities. Our leaders have a combined experience of nearly 50 years as Scouting volunteers and have been trained and recognized for volunteer service at Scouting's highest levels. 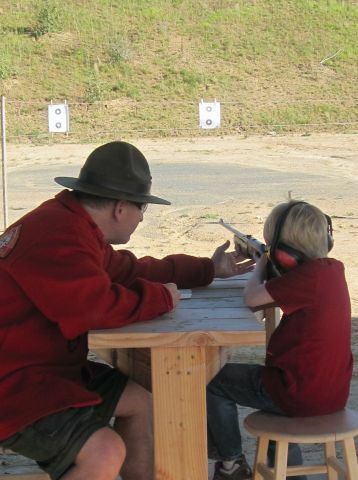 What do Cub Scouts in Pack 35 do? 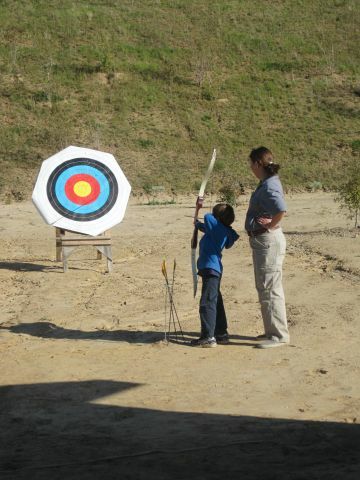 Just about everything from A to Z--that is archery to zip line! And in between we do BB gun shooting, biking, boating and sailing, climbing, exploring nature, fishing, map and compass, photography, tomahawk throwing, sports, and video games, just to name a few! We have our own Family Olympics. What more will your 6 to 11 year old get out of joining Pack 35? Cub Scouting's all important life lessons, which are part of every activity we do The "rules" in Cub Scouting are the Cub Scout Oath and Law of the Pack (see below). 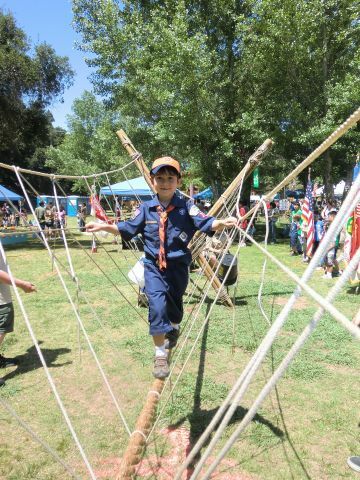 Besides the physical activities above, Cub Scouts also cooperate on projects and badges that teach them citizenship, duty to family, and a love of the natural world. Camping and outdoor activities are a big part of Pack 35's program, with overnight programs happening at least 4 times per year. 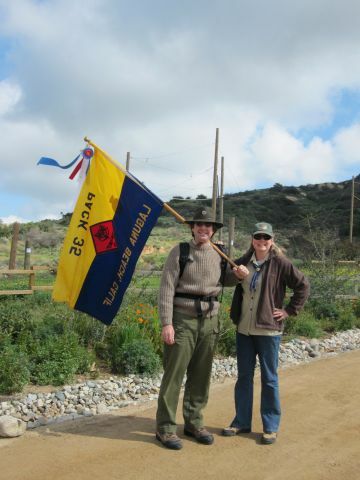 Our destinations are usually within 1 to 2 hours drive and are among the finest Scouting and non-Scouting facilities in southern California. You can tell we're pretty fired up about helping young people have a great time while growing up to be responsible, honorable men. If you'd like to learn more about Pack 35, drop us an email or visit one of our monthly pack meetings on the fourth Thursday of the month (September through May) at 6:30 PM at Laguna Prebyterian Church in beautiful downtown Laguna Beach! Mark your calendars for the weekend of May 3-5 for our annual spring campout. 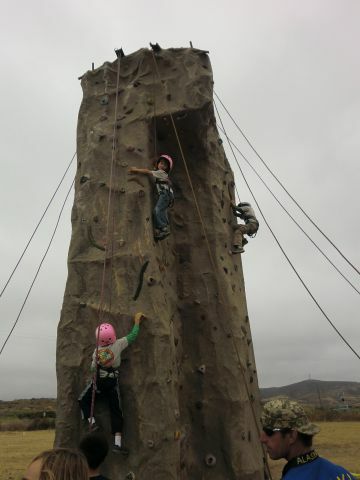 This event is always lots of fun and we have a lot of fun activities planned for the weekend. More details will be posted on the website soon, but please contact your den leader or me if you have questions. Please join us Tuesday, February 26th for our Blue and Gold/Arrow of Light Cermony for our Weblos IIs, who will be bridging to Boy Scouts soon. We will also be holding an international pot-luck that evening. So save the date and more details to come. The Pinewood Derby is coming! 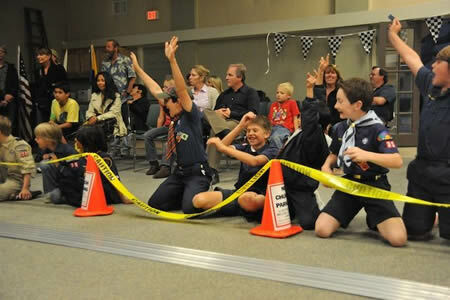 It's the event we've all been waiting for, the Pack 35 Pinewood Derby! This year's event will take place January 22nd at 6:30 PM sharp in Tankersly Hall. So, get working on those cars, we're looking forward to seeing some epic designs this year. Each den should hold their own meeting to work on cars and then bring them ready to race at the finals in January. If you have any questions, please contact your den leader or me. Allan Hundhausen Leading Webelos Den 4 "Engineer" Badge Meeting 1 of 2. Bring $30 per boy for materials. Webelos Den 4 Required Adventure "Webelos Walkabout"